30 Jan 2019 Espoo - EuroHPC is a concrete initiative to fund a world-class European supercomputing infrastructure during 2018-2026 to meet the demands of European research and industry. The first ambitious objective of EuroHPC is to acquire at least two pre-exascale systems to Europe by 2020. One exaflop means processor computing power corresponding to 1018floating point operations per second. A consortium is being built, to host one pre-exascale machine and place it in the data centre of CSC - IT Center for Science, in Kajaani, Finland. The potential consortium members are the Nordic countries Finland, Sweden, Denmark and Norway together with Switzerland, the Czech Republic, Belgium and the Netherlands. Whether these countries really will join, will be known in April when a proposal must be sumbitted. More countries are expected to join the consortium in the future by CSC. 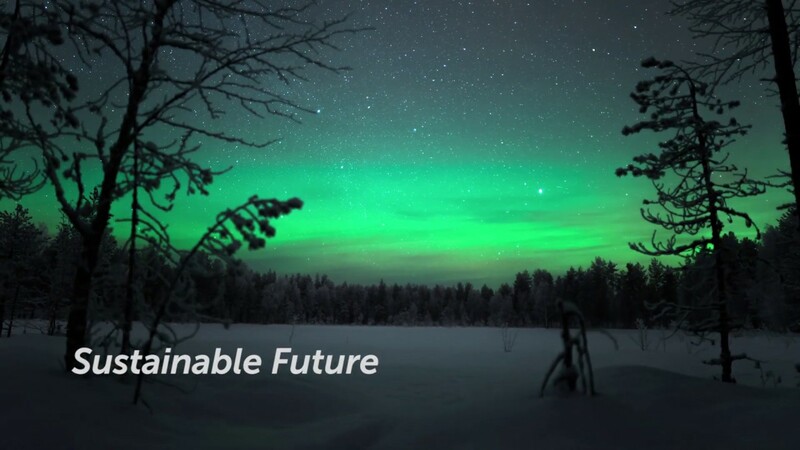 "The corner stones of the preparation for our European HPC consortium are Finnish world-class data intensive research and know-how as well as CSC's unique service concept. Boosting our common skills development is the main driver for Finland and the potential partner countries to be part of European HPC development and co-operation. The pre-exascale supercomputer strengthens European co-operation and complements our national supercomputing environments", stated Sanni Grahn-Laasonen, Finland's Minister of Education. Kajaani is located 550 kilometers north of Helsinki, the capital of Finland. The CSC data centre offers many competitive advantages including energy and cost efficiency, societal and geographical stability and high security standards. It provides a perfect environment for a state-of-the-art pre-exascale installation. "Placing Europe's fastest supercomputer in Finland would significantly strengthen and complement European computing and data management environment. In addition, it would serve European industry and increase expertise in this field. Placing the supercomputer in Finland would create conditions for a wider data cluster. Kajaani is an excellent location for data centres due to cost-efficiency, environmental sustainability, and high information security", stated Mika Lintilä, Finland's Minister of Economic Affairs. EuroHPC has a jointly-funded total budget of around 1,4 billion euro untill 2020. This is provided by the European Union (EU), participating countries and private partners. The amount of money required from the participating countries depends on the number of countries in the consortium and the number of pre-exascale computers deployed. EuroHPC is envisioning to have at least two pre-exascale computers deployed by 2020, with a total budget of around 500 million euro. Finland is one of the best locations for data centres thanks to low operating costs and safe conditions. The total electricity cost for industries in Finland is one of the lowest in Europe, being only 55 euro per MWh in 2016 - the EU average is 114 euro per MWh, according to Eurostat. CSC has both knowledge and experience in covering the entire lifecycle of an HPC centre from planning and construction to maintenance and usage, as well as a solid track record of planning and implementing six fully equipped, functional data centres since 1989. "This consortium provides a high-quality, cost-effective and environmentally sustainable ecosystem based on European collaboration. Purchasing supercomputers alone will not ensure Europe a leading place in innovation and science without the necessary training and skills development. Thus, the consortium builds on a solid tradition of collaboration in HPC and data management, and each of the consortium partners has a long history of providing reliable and future proof services. EuroHPC is a great opportunity for the consortium countries, strengthening and complementing the national data management and computing environment and boosting the competitiveness of whole Europe", stated Kimmo Koski, CSC's Managing Director. EuroHPC will be developing exascale supercomputers based on competitive European technology, that could be acquired around 2022-2023, and would be ranking among the top three supercomputers in the world. For more background information, you can also read and watch thePrimeur Magazineinterview with Per Öster from CSC about the Finnish bid: " Per Öster sees free cooling as asset in CSC's hosting entity bid preparing for pre-exascale ".